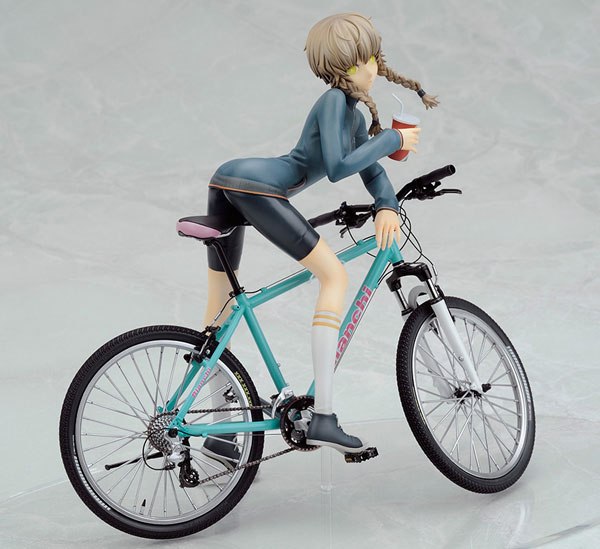 Alter is going to release the 1/8th scale figure rendition of Amane Suzuha with her mountain bike from the popular anime series Steins;Gate. 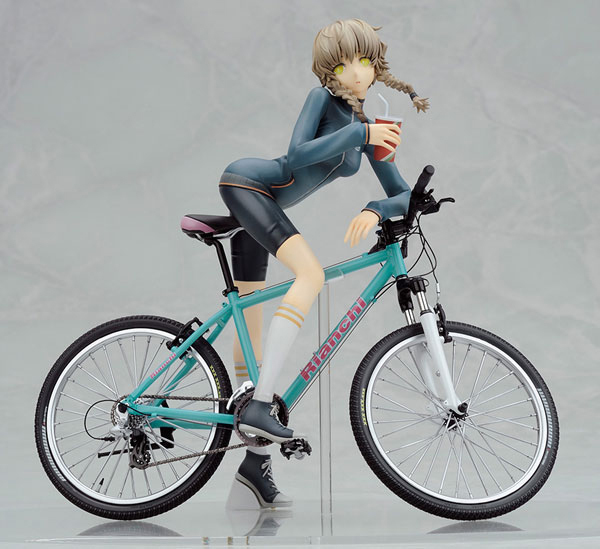 I really really love this figure because I myself is a fan of Bikes (You can check my bike collection here). And there’s something in her eyes that really attracts me on getting her. Slated for January 2013 with a price of ¥11,800. 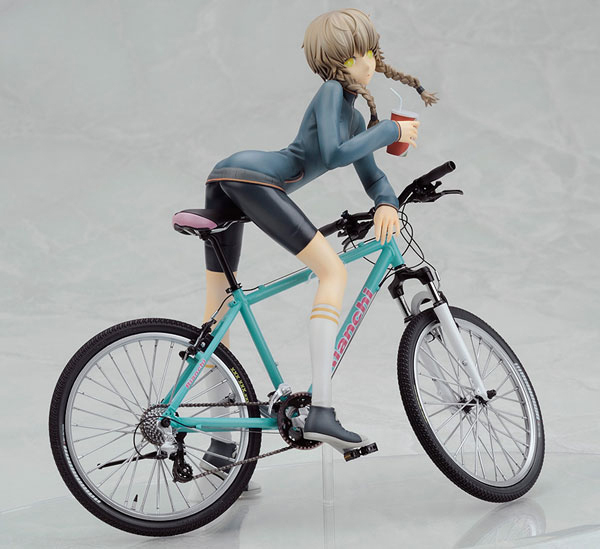 TRIVIA: The “Rianchi” name on the frame of her bike is a spin off name taken from one of the oldest bicycle brands in the history of cycling, the italian brand Bianchi. I had the chance to own a Bianchi bicycle frame in the past and it’s still one of the best cycling brands today. Its a very interesting concept and the bike looks stunning with all it’s details. @Wieselhead: Is it just me because Amane looks like Deadmaster lols! But yeah, looking forward to this figure! @Nico: Yeah, she does resemble DM – it’s the hair and eyes. 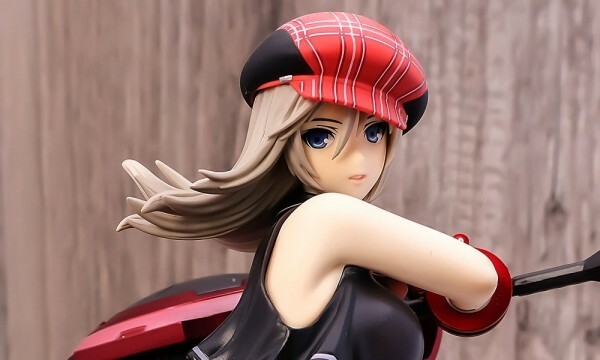 Anyways, yeah I’m also really interested with this figure…made by Alter is a good thing, but the price is somehow off-putting. 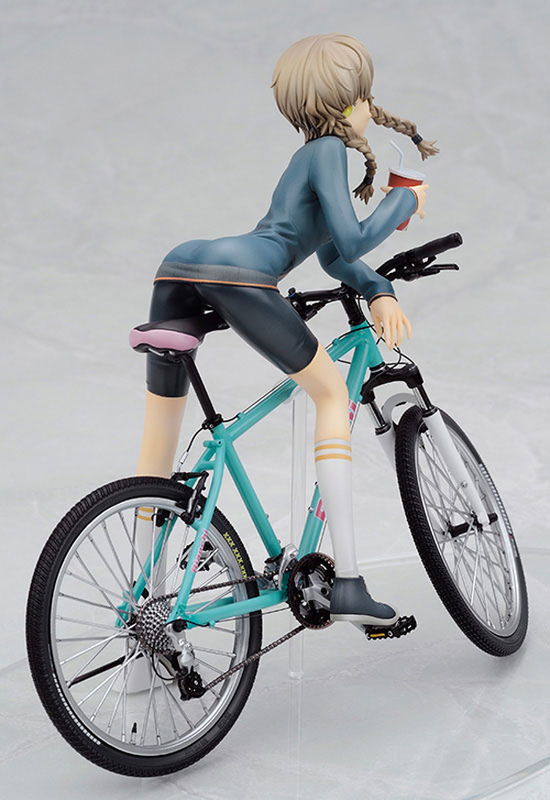 @Giles: Yeah, she has a nice backside :P. But my main target with this figure is her bike. Gotta love her bike!